Five major U.S. banks are in violation of Dodd-Frank rules that are meant to prevent "too big to fail" institutions from causing another financial crisis. Federal banking regulators rebuked JPMorgan Chase, Bank of America (BAC), Wells Fargo, Bank of New York Mellon (BKPRC) and State Street (STT) for their so-called living wills -- bankruptcy plans in the event of a failure. The Dodd-Frank rules apply to banks with assets of $50 billion or more. Each bank has to outline its plans for a quick and orderly bankruptcy in the event that it encounters severe financial distress or if the company goes under. But the Federal Reserve and the FDIC said the living wills of America's largest banks were "not credible or would not facilitate an orderly resolution" under the standard established in the 2010 Dodd-Frank Wall Street Reform and Consumer Protection Act. The regulators warned that they will hit the banks with even more stringent requirements unless each of them get up to code by October 1. Goldman Sachs (GS)' and Morgan Stanley's (MS) living wills were also found to be deficient, but regulators did not specifically outline plans for bringing them up to snuff. Citigroup's plan was approved, despite some shortcomings that the bank must address. 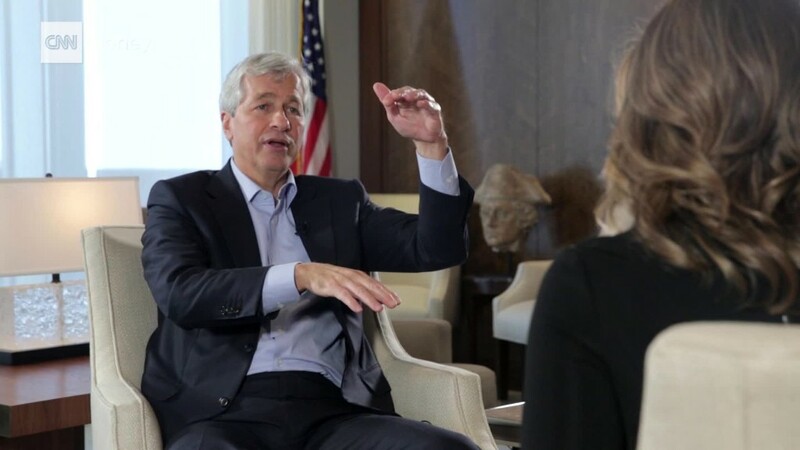 "We're going to do everything possible to fix this issue," said Jamie Dimon, CEO of JPMorgan (JPM), on a call with analysts Wednesday. "We have tons of liquidity. It's more about reporting legal entities." Wells Fargo (WFC) said it has made strides to get up to code, and it will meet the October 1 deadline. "We were disappointed to learn that our 2015 resolution plan submission was determined to have deficiencies in certain areas," a spokesman for Wells Fargo said. "We understand the importance of these findings and we will address them."